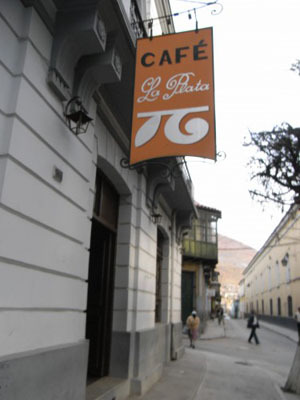 During the day, Cafe La Plata Te is the perfect place to enjoy freshly made cakes and a range of interesting coffees. Come night time, it transforms into a relaxed and stylish bar serving a decent range of local and international wines, alongside juices and international food, like pastas and posh burgers. Usually, the customers don't change much between the two, as Cafe La Plata is a great place to sit and watch the world go by.